Hi, my name is Albert. I am a LMT, Certified Personal Trainer, Rehab Fitness Specialist and Skincare Specialist in the Space Coast Area (Titusville, Cocoa Beach, and Melbourne through Palm Bay). 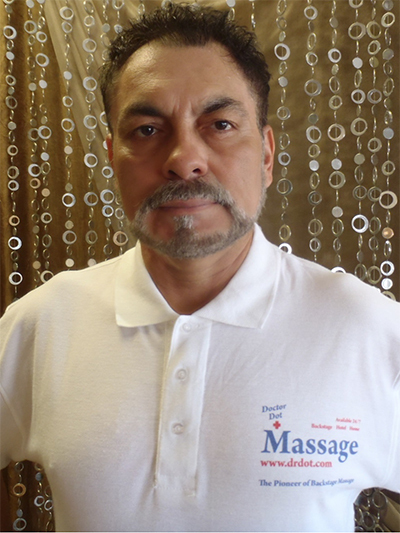 I specialize in Deep Tissue, Therapeutic, Swedish, Sports, Injury Rehab, Reflexology, Trigger point therapy and Facials. I am proud to say that I am also a full licensed esthetician and cosmetologist. I am happy, excited and proud to get a chance to work for Dr. Dot’s team. It will be a privilege and a pleasure to have the opportunity to assist some of the most incredible people. I am based in Satellite Beach, Florida.